 This sermon, “Charity vs. Social Justice,” was originally delivered to the congregation of Harmony, a Unitarian Universalist Community, on September 17, 2017. It is published here with permission from the writers, with all rights reserved. Our society could use more justice right now, but charity is still needed, too. How can we reconcile ways to be most helpful? Harmony UU’s Religious Exploration class of Sequoia students (grades 6 to 8) have wrestled with whether there exists, “a practical model for social change that includes an understanding of ways to transform consciousness that are linked to efforts to transform structures” (bell hooks). In this sermon, the students discuss their thoughts on charity vs. social justice. Every year, the Sequoia class studies a particular theme. Then they get to do this sermon as sort of a capstone project, to both illustrate what they learned and also to share with you what they’ve done. Part of that project is that they create, display, write, perform, and interact in the sermon, so 100 percent of our entire class is represented here. For background information, last year about this time, our class was gifted a curriculum project. It’s based on Catholic school teachings of social justice. In fact, the modern term of social justice was first used by Catholics in about the mid-1800s. As a class we examined the Catholic principles of social justice and we determined that many of them align with our own UU principles, such as honoring inherent dignity, basic human rights, and understanding the role that community plays. Together as a class, we decided that social justice and specifically the Poverty Project were things that we cared about and we wanted to explore. In a nearly unanimous vote, the class determined that they wanted to focus specifically on the issue of hunger, and the part that plays alongside poverty. We’ve been learning about poverty and food waste, and thought that would be a good idea to start the presentation off with a video. It’s interesting how personifying a strawberry can make you want to do more about food waste. Did you know that roughly one-third of food in the world that’s produced for human consumption is wasted? Just one-quarter of all wasted food could feed 795 million undernourished people around the world, yet many suffer from hunger. If that’s not shocking enough, food waste also generates 3.3 billion tons of carbon dioxide, which accelerates global climate change. If wasted food was a country, it would be the third largest producer of carbon dioxide in the world after the United States and China. Not only is food waste bad for the hungry and the environment, it’s also bad for the economy. Food waste cost the world $750 billion a year. $161 billion of that total belongs to the United States. A study by the Food and Agriculture Organization of the United Nations estimated that $265 billion per year would end world poverty and hunger by the year 2030. As we listen to my friends talk about the Poverty Project today, I hope that it will inspire us all to do more. To engage with issues surrounding hunger, we attempted to gain perspective by walking in the shoes of a family struggling to pay for food. In class, we all had to try to imagine what it would be like for a family of three to live on $13 a day in food stamps. We looked through ads to discover the best prices for food at stores like Meijer, Kroger, Aldi, and others. We had $26 for two days, to try and find food for six meals and make us stay healthy. We learned that eating foods to keep us healthy was really important because we wouldn’t have enough money to go to the doctor. It was really challenging to try and find the right balance of food. We had to make sure we bought fruits and vegetables, which are good sources of vitamins and minerals, and also to make sure we bought foods like eggs that have protein, dairy to keep our bones healthy, and food from other food groups. We had to think ahead and figure out how we use every last drop of food purchased. We also realized that we couldn’t always get our favorite food. I think this project showed us how hard it would be for a family of three to live on $13 a day. The fact that a lot of people are living on $13 a day or less helps us realize why it’s so important to help others. We also watched and learned from others who were doing more extensive simulations in other countries only had a dollar a day and fewer resources. Charity or social justice: How do they compare? In formulating a plan for how you can help, we learned about the difference between a charity and social justice. Do you know the difference? Here is a bit more information. Though charity and social justice are often viewed to be similar, there are many differences between the two. Charity embraces an individualist approach, responding to immediate needs and providing direct services. Charity requires repeated actions like food and tutoring and stuff like that. Social justice is a public or collective act and uses a much more structural approach. Acts of social justice respond to long-term needs and are directed at the cause of injustice. Our class project divided into two groups, one focusing on the charity and the other on social justice. Charity is a temporary act. Helping people by giving them food, clothing, water, shelter, and other items is considered charity. At Harmony, we’ve participated in a lot of charitable acts. We made peanut butter and jelly sandwiches for day workers in Cincinnati. We worked with organizations like Matthew 25 ministries and Hands Against Hunger to help provide food and supplies for those in need. 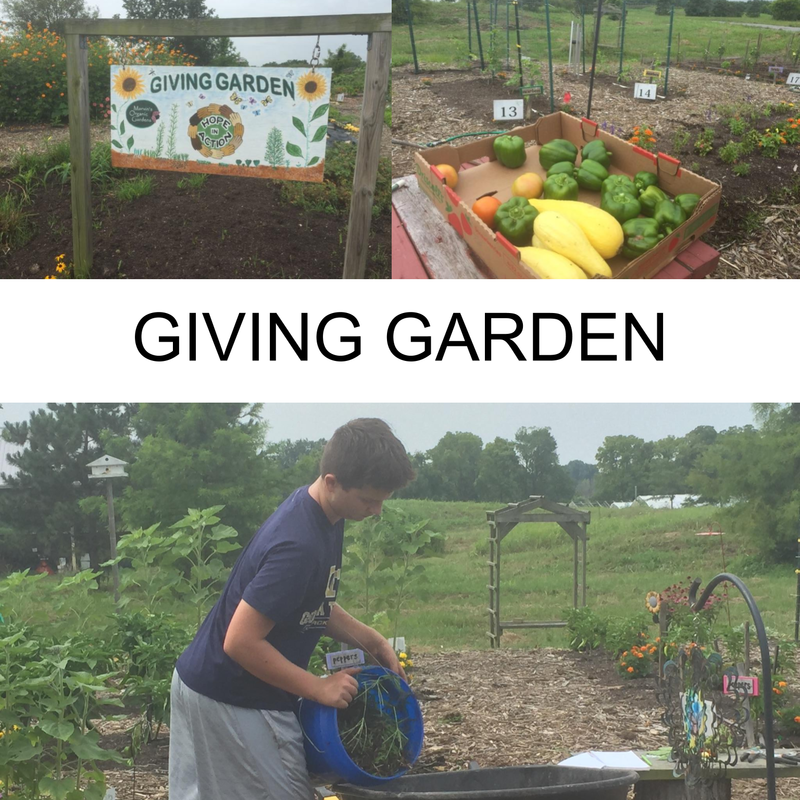 For this project, half of our class created and grew a garden at our homes for the purpose of donating what we grew. Some of us were able to make a donation of vegetables to the food pantry. Others of us learned about gardening. During our gardening project, we learned of an organization doing this type of charitable gardening on a larger scale. We were able to help the Hope in Action Giving Garden a couple of times. Upon visiting the Giving Garden, it was obvious that the volunteers cared for it so much and wanted it to thrive—which made us want to help, too. While it was a lot of work smashing bugs and scraping eggs off plants was (not) so fun, we hope to be more involved with the Giving Garden in the future. We would encourage anyone else to help as well because it helps people to get fresh food. Social justice is a more permanent solution, addressing the cause instead of the symptom. It’s concerned with changing the underlying problems that cause inequality, poverty and other societal issues. For example, many members of this church have supported the LGBTQ community and their fight for marriage equality, attending rallies and marches. Social justice is typically harder to achieve because it goes against social conventions and norms. Over the past few months, a group of us have been working on a social justice project. Part of it was to make a sign of a stoplight that we put in Kroger. It was so telling others to buy ugly foods, or foods that were about to expire if they were going to eat it that day or a day closer. For example, a crooked carrot or misshapen tomato may look bad, but it is still just as edible as the other cosmetically perfect fruits and vegetables. Sadly one-fifth of those fruits and vegetables get thrown away because they do not meet the cosmetic standards. We want to prevent good food from going bad by encouraging people to buy less than perfect looking fruits. 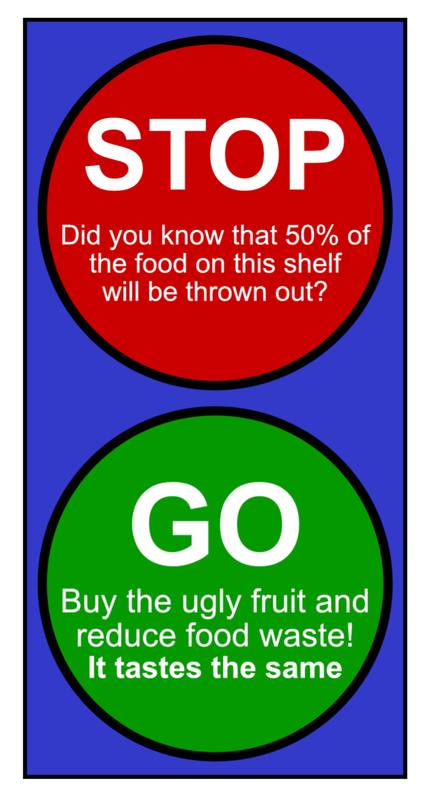 And when you buy food make sure you eat it because 90 percent of us throw away food before it is expired. Although charity and social justice are slightly different, they’re both equally important in making our country more equitable and just. Also, by working with local charities and organizations to promote social justice, we ourselves can feel better that we’re making a difference in this world. It has become clear to us that acts of charity and social justice are important to engage in. However, understanding the difference between the two can explain some of the struggle in achieving success in both. Charitable organizations were originally set up to provide emergency assistance for those who found themselves in need, such as people in the wake of the hurricane. In contrast, many charitable organizations today exist continuously in part to counteract the effects of social injustice and more fundamental societal problems. The question is, by doing acts of charity, are we impeding our own actions and expectations for justice? Is addressing the symptom as powerful as addressing the disease? However, acting for social justice is difficult and the results are seen more slowly. We can’t ignore that acts of charity are a necessity for the people who are suffering now. As food for thought, perhaps our charitable organizations who have access to committed, caring volunteers can encourage them to take their actions further. And when you make the decision of where give your precious time and money, make sure you’re identifying your goals and being intentional. When we consider societal problems from multiple perspectives, this will help all of us have the largest impact and do the most good.